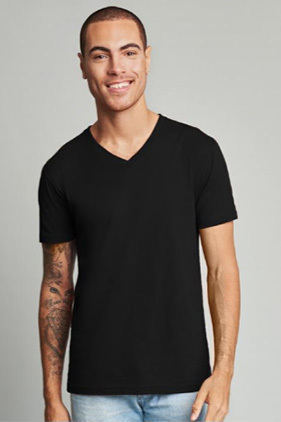 The perfect v-neck for printing. 100% combed ring-spun cotton, Heather Gray 90% combed and ring-spun cotton/10% polyester, 32 singles 4.3 ounce fine jersey v-neck t-shirt. Side seamed. Set-in collar 1x1 baby rib. Tear away label.